Some may say that the sky is the limit, but this is not the case at Sloty Casino, where the sky is really just the beginning. This casino is quite new to the mobile world, having only launched in 2017, but has quickly become very popular. From a variety of games, different software providers, to security, support and plenty of banking options to choose from, Sloty Casino is top-notch and most certainly deserves to be right up there with the best. But before you dive into a world of adventures and fun-filled gaming, let’s find out more about exactly what makes Sloty such an interesting mobile casino app. From the moment you land on the mobile app at Sloty Casino, you’ll be on Cloud 9 – literally. A cityscape on top of clouds will be greeting you, with a whole range of the most popular games to scroll through and check out. You can simply click on any of these icons to either play for real money or purely for fun. 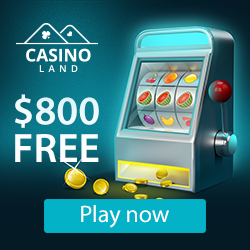 In order to play for real money, you’ll need to register an account (which is quick and easy) – playing for fun does not need any registration, however, you cannot win real money, so we strongly recommend opening an account at Sloty Casino for all the benefits, which we’ll get to later as well. The site is extremely easy to navigate and, even once you’ve registered and logged in, you’ll find everything you need in one place. Simply look for the game you want, make a deposit and start playing. Speaking of deposits, let’s find out how easy it is to purchase and play at Sloty Casino. Sloty Casino values your security above anything else, so that you can simply enjoy the games without having to worry about anything. For this reason, they have a SSL connection in order to protect all your details, and are regularly audited by the Gaming Authority. The one that that stands out is the easy-to-use “Payment Options” page. Here, you can view all the payment options available for depositing and withdrawing, the process time, as well as the minimum and maximum amount allowed per transaction. Options include credit and debit cards, as well as e-wallets like NETELLER, Skrill and EcoPayz. If you’re looking for casino games, you’re in luck, because that is exactly what Sloty Casino is all about. Where most online casinos feature games from only one software provider, Sloty has different providers, which means more games for you to enjoy. Video slots, table games, video pokers, scratch cards and live casino games are all here, from powerhouses like NetEnt, Microgaming, Play’n GO, Quickspin and Evolution Gaming. Enjoy some of the best games around, with exciting online slots, mega jackpots and even a mobile version of the casino, where you can play wherever, whenever. In order to enjoy the games, and everything else that Sloty offers, you have to start somewhere – and there’s no better place than with an exceptional welcome bonus of up to C$ 1500 + 300 free spins T&C's Apply with your first four deposits. Other promotions at Sloty Casino include Happy Hour, where you’ll get Free Spins on a variety of games every Tuesday, plus a Bonus and Free Spins when you play the Game of the Week. If you want the best of the best, and outfly the rest, then Sloty Casino is for you. Easy-to-use navigation, plenty of games, outstanding promotions and secure banking make this one of our new favourite casinos. But why not check it out for yourself? Register your account now and start playing – and go where no player has gone before!